Afternoon Ladies, It's giveaway time to show my appreciation of all you readers out there who have followed me throughout my journey being a blogger. There will be 2 Winners! First winner will get to choose the runner up will get the other! Be a blog follower on Britese - British and Maltese Collide, using Google Connect. 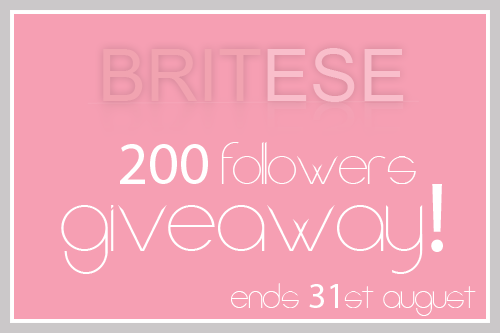 Giveaway Ends 31st August! And is OPEN INTERNATIONALLY!